And then there’s a big bag of wool top I bought from The Woolery. 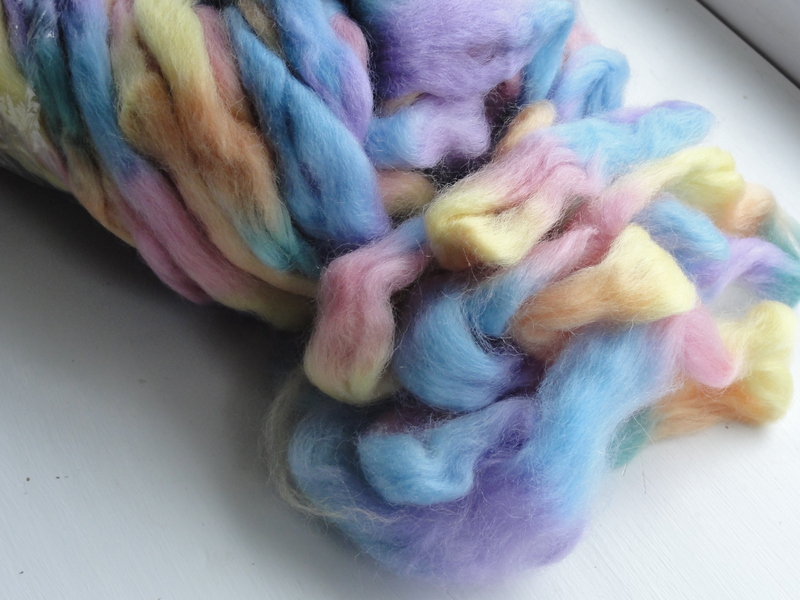 It’s 8 ounces of Louet Northern Lights in the Cotton Candy colorway. 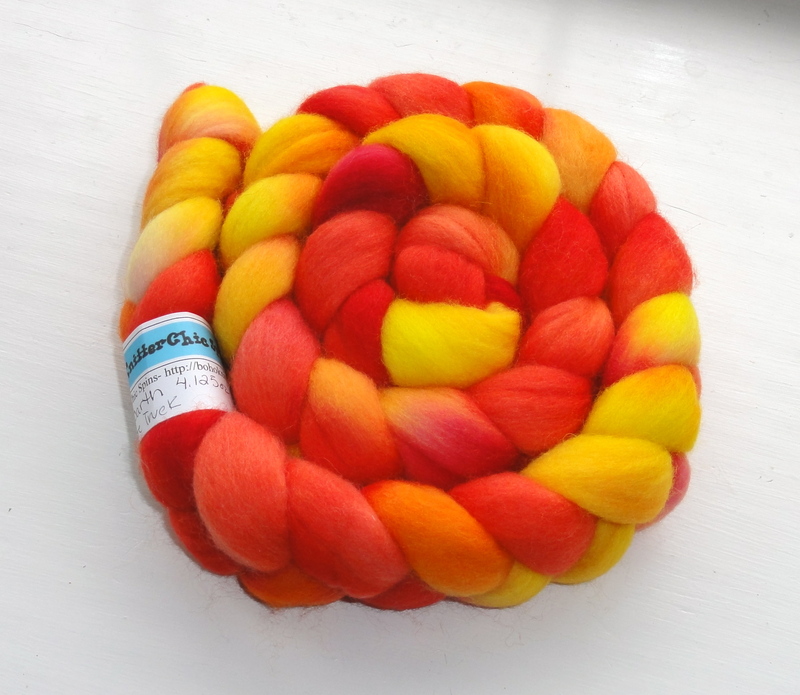 I bought it for the November spinning challenge on the Ravelry group Spindlers. The winner of the monthly challenge gets to pick the theme for a future monthly challenge, and when I won the challenge a couple of months ago (the winner is drawn randomly), I chose “Life Is A Carnival” as the theme for November. What is more reminiscent of a carnival than cotton candy, right? 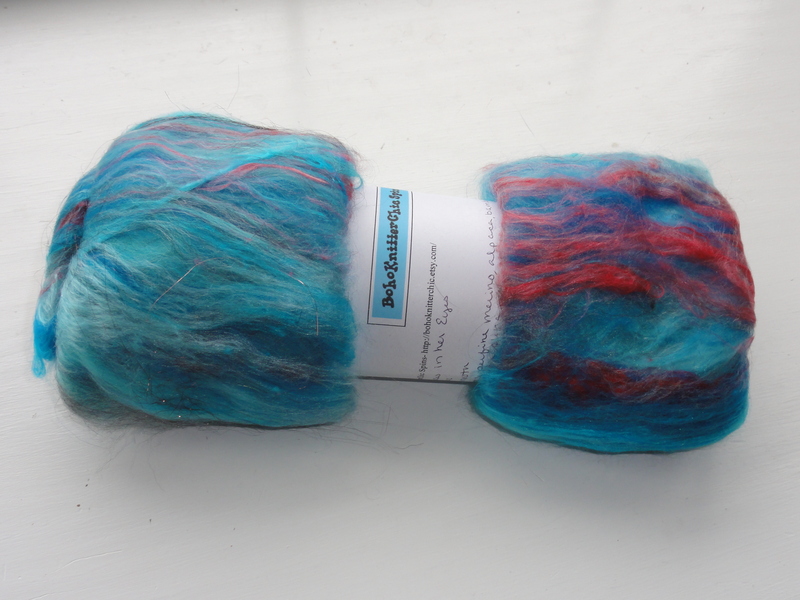 I don’t know whether I will spin the entire 8 ounces or just a portion of it, but some nice Cotton Candy clown barf handspun will fit the theme perfectly. This entry was posted in Spinning and tagged BohoKnitterChic, Louet Northern Lights Cotton Candy, Polwarth top, spinning batts. Bookmark the permalink. Agh. I don’t know if I could bear to spin that much candy clown barf (perfect name, btw) even for a challenge. You’re very brave. Oh I’m sure it will be much nicer as a yarn than as fiber. That bottom one looks like cotton candy. Yum!